These two letters were written by Pvt. Samuel Mills (1835-1893) of Company D, 9th New York Cavalry. 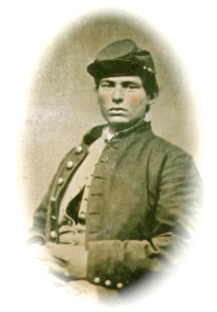 Samuel enlisted in September 1861 for three years. He was discharged for disability, however, on 6 December 1862. 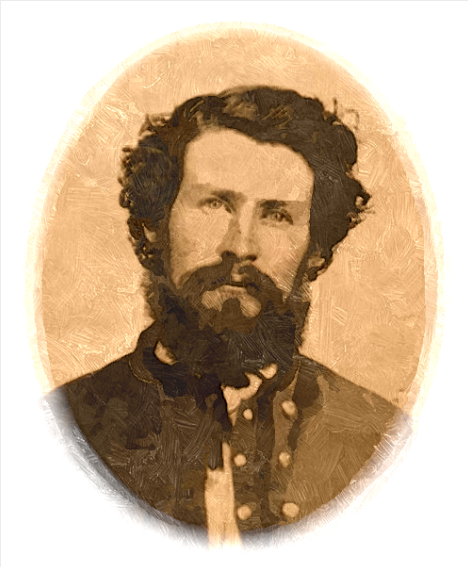 He was married to Cynthia M. Sanford (1839-18xx) and resided in Brocton, Chautaugua County, New York. He was a carpenter by trade. The only other soldier of the regiment mentioned by Mills in this letter was Corp. Thomas H. Titus (1839-18xx) of Company D.
The regiment left the State November 26, 1861, and served at Washington, D. C., from December, 1861. 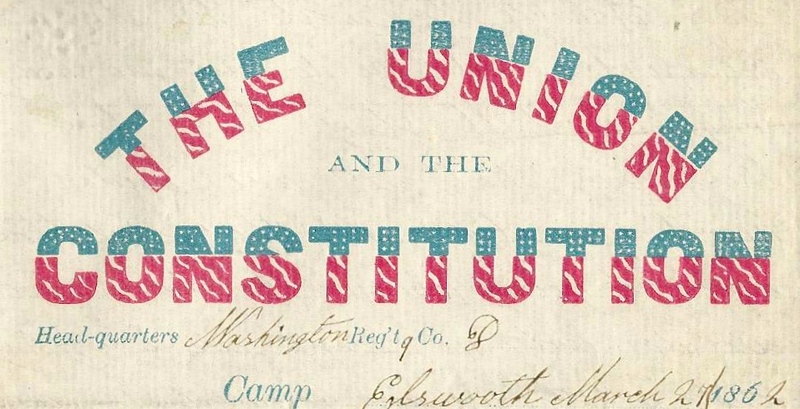 March 9, 1862, Companies C, F, K and M were detached and distributed in detachments among the batteries of the Reserve Artillery, with which they served until May 22, 1862; the remaining eight companies performed during that time duty as train-guard in the Army of the Potomac. In June, 1862, it having returned from the Peninsula, the regiment was mounted at Washington, D. C., and assigned to the Cavalry Brigade, 1st Corps, Army Virginia; it served in the 1st Stahel’s Division, nth Corps, from September, 1862; in the 3d Brigade, Cavalry Division, Army of the Potomac, from October, 1862; in the Cavalry Brigade, 1st Division, nth Corps, Army of the Potomac, from November, 1862; in the 1st Brigade, 1st Division, Cavalry Corps, Army of the Potomac, from February, 1863; in the 2d Brigade, 1st Division, Cavalry Corps, Army of the Potomac, from May, 1863; in the Army of the Shenandoah, from October, 1864; with the Army of the Potomac, from March, 1865, and July 17, 1865, commanded by Col. George S. Nichols, it was honorably discharged and mustered out at Cloud’s Mills, Va. I now take this opportunity of writing a few lines to you. I received a letter from you last Saturday and I was sorry to hear that your health was so poor and I was sorry to hear that Delbert had got burnt himself but accidents will happen sometimes. Let us be careful as we may and you must be careful of your health and not work too hard for you must hire some of your work done rather than to injure your health for we do not expect our pay the last of this week or the first of next and then you shall have some money as quick as I can send it. And about wiring to you, I have wrote a letter to you every week since I have been here in Washington and I wrote one letter and sent a song in it. It is a song that was composed on Thanksgiving Day on the cars to this place and I would like to know whether you have got it or not. And the 16th of December, I sent you the picture of our camp and would like to know whether you got got it or not. And now about our horses. I could not help but laugh when I heard the letter read for we have not got our horses nor guns nor pistols, but we have for sabers. But we have not all got them yet for I have got no saber nor any of the cooks nor waters for there was not enough for every man to have one. And you must not make yourself uneasy about every report you hear about us for we are quite comfortable and we have plenty to eat and that is good enough for us. That is, it is very hearty and very healthy. The regiment is very healthy for there is not any sickness in the camp — only the measles and there is about 20 sick with the measles and they are doing well. We have had 3 deaths since we have been here and 2 of them died with a relapse of the measles and the other with the consumption. And the 2 that died with measles was because they was very careless and did not take any care of themselves for they had got over it and then they overdone or took a bad cold and it fetched on a relapse. I have worried some this week about you ever since I had your letter and heard that you was not very well. But as for me, I am considerable tougher than I was when I left home and you need not be surprised if you should see us home by next spring or before. We have heard from Redmond Riley ¹ and he is in the hospital. It is about 5 miles from here and he is expected not to live and we have heard that his mother is come to see him but we have not heard whether she is here or not yet. ¹ Redmond Riley of Cahautaugua County, New York, served in Company D, 72nd New York. He was discharged in December 1862 for disability. I now seat myself down to write a few lines to you hoping the same will find you well as this leaves me at this time and I bless God for it. I am still striving by the grace of God to live a Christian life and I want to live so let my days be few or many so that I may have abundant entrance into that world above where meeting and parting will be no more but where all will be peace and happiness forever. May this be our happy lot. I have received 3 letters from you since I have had a chance to write. We are in Alexandria but we do not know how long we shall stay here for they say that we are under marching orders and they say that we are going down the river but we do not know where we are going and when we are going but we expect to go tomorrow but we do not know how it will be with us. I am cooking yet but we have not got our pay yet and we do not know how long it will be before we get it but one thing I know that is, I know that I want it and I think that you need some but I cannot help it at all for they will pay just when they are a mind to and not before. I have got a paper that Thomas Titus has sent him from Westfield and it is got a piece in it that lawyer [George W.] Palmer from Westfield wrote. He is in business in Washington and he used to come up to our camp very often. He was very intimate with our officers so he wrote a letter to the Westfield Republican and they printed it and he goes on to tell how we volunteered to go into artillery but you will see for I will send the piece to you in this letter so you will see how it reads. But one thing I know, that is it is biggest lie ever was printed for they could not get a 150 out of the whole regiment to volunteer so you can see how they do lie about us. And another thing, I think that we should of had a chance to come home by this time if they had not of lied about us. But it is lie, lie, lie ever since we enlisted. Yes, and before, for they said that we were to have $14 dollars per month and they have not paid us but 13 so that was a lie in the start. Then they said we should have our horses in Westfield and be drilled there, all ready for actual service, and that was another one. And then they said if we go to Albany, our horses was there and we should get our pay there and get ready for service. That was another lie. And then they said that if we went down to Washington, our horses was there and awaiting for us and we should have our horses and pay before we went into camp. And proved to be another lie. And now they have lied us into this to take muskets and the other day they wanted 30 men to go into a battery of artillery and they could not get but 2 or 3 to volunteer. And then they went to force them into it but they would not have them. They sent them back and the artillery went and report our head officer but we do not know what they will do with him now. Now I do not want you to understand by this that it is the governments doings but I want you to understand that it is some of the officers doing to the government about us and lying to us. This entry was posted on Wednesday, August 6th, 2014 at 10:28 pm	and posted in Uncategorized. You can follow any responses to this entry through the RSS 2.0 feed.